Tessa Holden knew since she was ten that her family wasn’t normal but she never thought she’d be able to leave their doomsday philosophy behind her. Not until her grandmother dies. Now she’s riding motorcycles, attending bonfire parties, all while trying to deal with large bikers invading her home. Will she run from the darkness her family warned her about or will she discover that sometimes the darkness is worth the happiness it can bring? Tyler ‘Buck’ Fenton wasn’t the same when he returned from Afghanistan and the sweet innocence of the life he’d led before he left was gone. 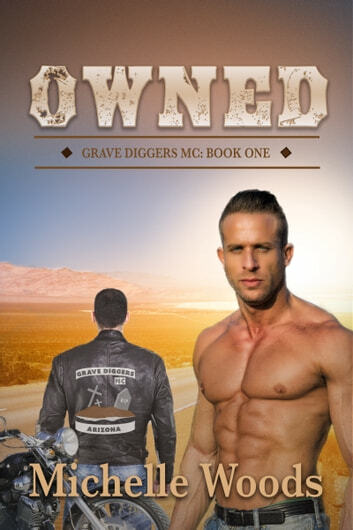 Joining the Grave Diggers MC saved his life but it also meant he wasn’t on anyone’s nice guy list. The club was his life until a woman with a sassy mouth and eyes the color of emeralds walked into his world. Now he’s furnishing her house with the finest things, begging for forgiveness and hoping he can keep her. Only when the darker parts of his life rear their ugly heads, he will have to choose—to keep her or to keep her safe. Woods Publishing & Design Inc.